전시제목: Beautiful world, where are you? Haegue Yang is featured in the tenth Liverpool Biennial titled Beautiful world, where are you? from July 14th to October 28th. 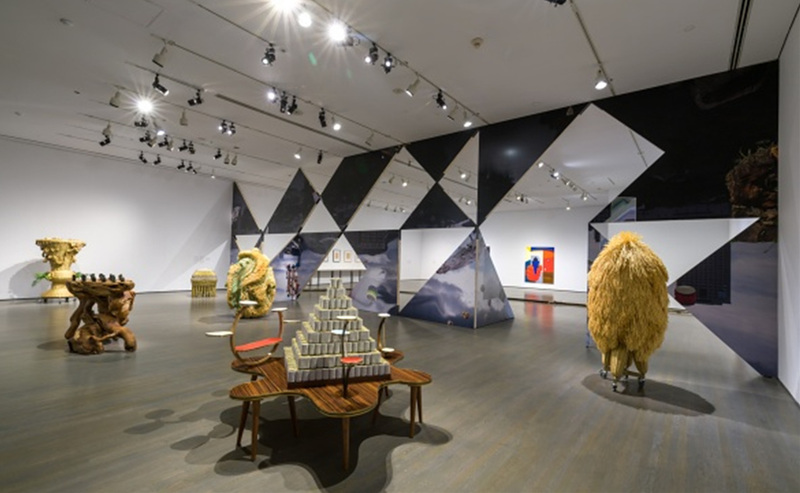 Haegue Yang has created a new environment for her sculpture series, The Intermediates (2015-ongoing) for the Biennial. The backdrop will consist of a new digitally produced wallpaper, suspended sound stations and upside down Maypole ribbons. Made from artificial woven straw, The Intermediates allude to both traditional arts and crafts techniques and modern industrial production methods. Representing figures and sites from folk tales and ancient traditions in a variety of forms, they question definitions of ‘paganism’. 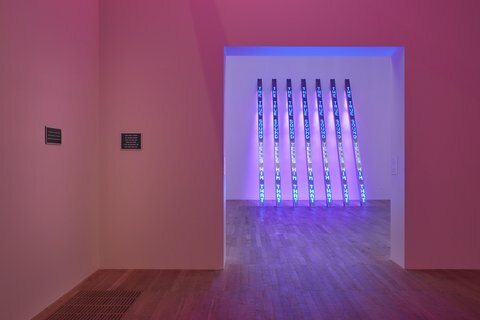 Complemented by sound elements and employing recordings of wildlife taken from the British Library’s sound collection, Haegue attempts to create a hybrid environment. 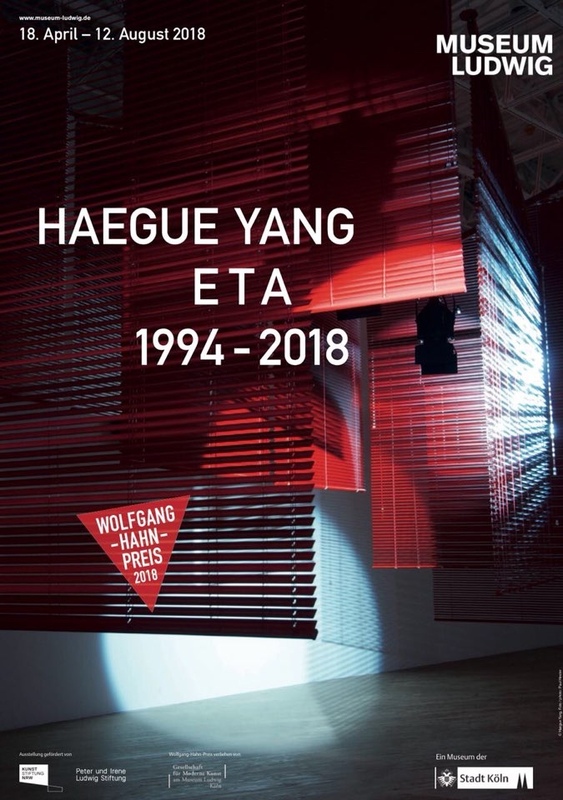 Haegue Yang will also participate in an artist talk on the opening day of the Biennial on July 14th from 1PM at Tate Liverpool. 양혜규는 오는 7월 14일부터 10월 28일까지 제10회 리버풀 비엔날레 《Beautiful world, where are you?》에 참가한다. 이번 전시에서는 <중간 유형 The Intermediates>(2015-) 조각 연작을 중심으로 한 새로운 환경이 선보일 예정이다. 특히 디지털로 제작된 양혜규의 벽지 신작은 공간의 배경이 되고, 천장으로부터 걸려있는 음향 장치 및 아래위가 거꾸로 된 메이폴(Maypole)과 리본이 함께 구성된다. 인조 짚풀로 제작한 양혜규의 <중간 유형> 연작은 전통 예술과 공예 기술 및 현대 산업 생산 방식을 시사하는 작업이다. 민간 설화와 고대 전통을 대표하는 인물과 장소를 다양한 형태의 조각으로 선보이며 ‘이교도’의 정의에 의문을 제기한다. 작가는 이번 전시에서 영국 국립 도서관(British Library)의 사운드 컬렉션에서 발췌한 음향과 야생 생물 기록을 활용해 하이브리드 환경을 구축할 예정이다. 또한 리버풀 비엔날레의 공식 개막일인 오는 7월 14일 오후 1시부터 약 한 시간 동안 양혜규의 아티스트 토크가 테이트 리버풀에서 진행된다.